The 56-year-old man can now speak with an intelligible whisper and breathe normally, said lead researcher Nihal Engin Vrana. The patient, who lives in Alsace, received the implant in 2015. He has lived well with it for longer than 16 months, said Vrana, vice president of Protip Medical, the French company that created the artificial larynx. "This is the first time a patient has had the implant long-term and resumed certain functions such as breathing and voice, thus considerably improving his quality of life," Vrana said. The patient also has a fully restored sense of smell, which had been compromised by removal of his larynx, researchers said. The larynx serves two main functions. It contains the vocal cords necessary for speech. 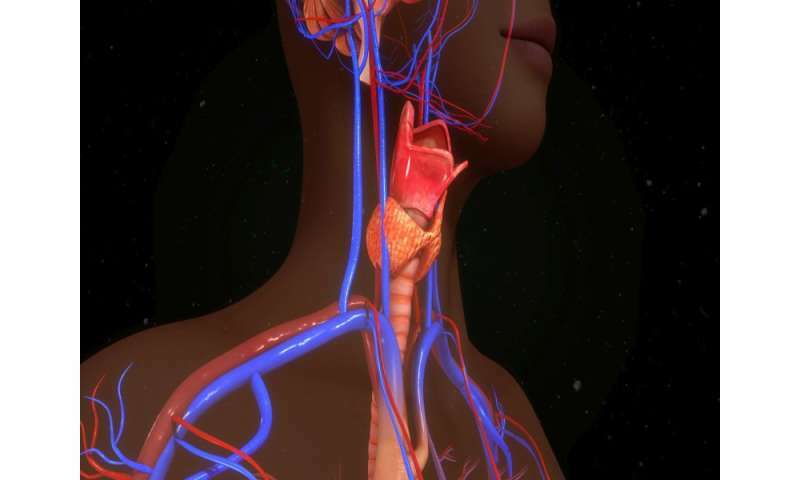 The organ also features an upper valve called the epiglottis, which closes off during swallowing to keep food or drink from entering the windpipe. Removal of the larynx is common in treatment of laryngeal cancer, according to the American Cancer Society. There are about 13,430 new cases of laryngeal cancer in the United States every year. The artificial larynx consists of a rigid titanium/silicone structure that replaces the larynx in the throat, as well as a removable titanium cap that replicates the function of the epiglottis, Vrana said. "This is a very new thing," said Dr. Mark Courey, chief of head and neck surgery for the Mount Sinai Health System in New York City. "People have talked about being able to put something in that could perform this function, but I don't know anyone has done it until these investigators," Courey said. The researchers first implanted an artificial larynx in a patient in 2012. This latest case report reflects their most successful effort yet. The patient had his larynx removed during treatment for throat cancer. He also has received radiation therapy and chemotherapy, Vrana said. The only problem that has not been solved in the device involves the cap that functions as the epiglottis, Vrana said. The patient occasionally coughs on food that accidentally goes up his windpipe. "No episodes of pneumonia, infection, discharge, difficulty breathing or blockages were observed after 16 months of daily use," Vrana said. "This implant is constantly evolving and the next patients will benefit from substantial improvements" to improve the passage of food down the throat, he added. Patients who have had a total laryngectomy—removal of the entire larynx—are the ideal candidates for this device, Vrana said. However, following surgery, they still must have the base of their tongue, to help preserve swallowing function. Dr. Randal Weber is chief of head and neck surgery at the University of Texas MD Anderson Cancer Center. He said the implant would be a "significant departure" from the current procedure done to restore speech in laryngectomy patients. Right now, surgeons punch a hole and insert a one-way valve that allows air to pass from the windpipe—the trachea—into the esophagus. "The wall of the esophagus creates vibratory sound that is articulated by the tongue," Weber said. Courey and Weber have some concerns about the long-term effectiveness of the device, however. Courey said mucus and secretions from the lung and nose could dry out on the titanium cap, potentially causing a blockage. There's also a significant risk of rejection, particularly in cancer patients who've undergone radiation therapy and chemotherapy, he and Weber added. Weber also wonders about patient comfort. "You're inserting a rigid tube in someone's throat," he said. "What happens when they flex their neck forward or backwards, or extend their neck?" Vrana and his colleagues agree that the implant needs further testing. "This first experience with the device has shown the feasibility of replacing the larynx with the prosthesis," he said. Now, refinements need to be made before implanting more patients, he added. The report appears in the Jan. 5 issue of the New England Journal of Medicine. More information: For more on laryngeal cancer, visit the American Cancer Society.